Whether you are considering finding your child an adoptive home or you want to expand your family by adopting a child, it is important to understand the laws and consult a trusted professional. Our best advice is to never go it alone. Call the attorneys at the Women and Children’s Law Center, or at the very least work closely your family lawyer, to make sure everyone’s interests are fairly represented, that the process is nurturing, and that the outcome is positive. 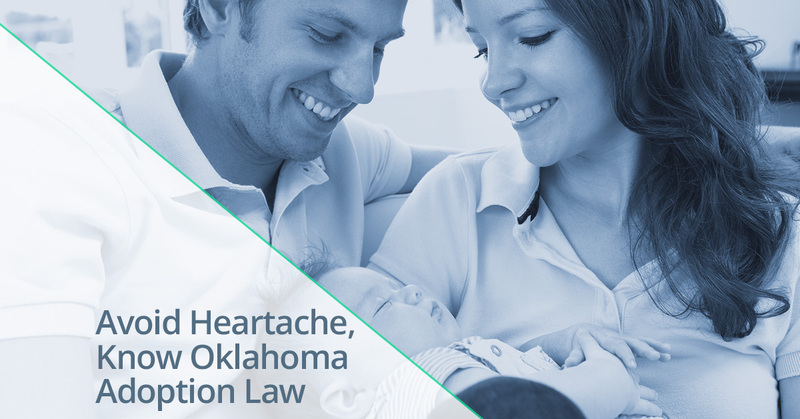 The Oklahoma Legislature has enacted laws that it believes will ensure that every adopted child is raised in a loving home and that they are well cared for before, during and after adoption proceedings have concluded. The intent of the laws includes balancing privacy rights with the need to maintain adoption-related records. This is the first in a series of articles exploring Oklahoma adoption laws. This article and the next will focus on providing an understanding of the terminology used in the Oklahoma Adoption Code. More information about Oklahoma Adoption Law is available from the Oklahoma Adoption Coalition. Abandonment, as used in the course of adoption proceedings refers to any of the following. Frequent, regular visits or communication. Fully exercising parental rights as defined by a court of law. This is a tricky definition. It is something you’ll want clarity on before proceedings begin. When a parent places a minor child in protective custody or with a licensed adoption agency, the law does not consider this abandonment. Adoptee: The person to be adopted or who has been adopted. Adult: Anyone involved in the proceedings over the age of 18. Child placing agency: Any welfare agency that is licensed by the Oklahoma child Care Facilities Licensing act, and authorized to place minors for adoption. Contested proceeding: When any interested party contests any part of the adoption proceedings. Whether or not an individual qualifies as an “interested party” is determined by the court on a case-by-case basis. Consult your attorney if you have concerns in this area. Department of Human Services: Often referred to as “The Department”. Direct placement adoption: An adoption that occurs without the assistance of the department of human services. Parent: The adoptive child’s legally-recognized adoptive or biological parent. In our next article we’ll continue our definition of terms and begin taking a look a jurisdiction and choice of law. Understanding the language of adoption law is a good start, but adoption laws in Oklahoma can be confusing. Please call the Women & Children’s Law Center if you are involved in, or considering being involved in, an adoption proceeding. We are committed to making sure that every family is fairly represented. Most importantly, we want every adoptive child to have a happy, safe and full life. We’ll do everything in our power to help you have the best outcome possible.